I will admit, at first glance that headline can be a little jarring, especially to cannabis advocates in a world of growing popularity for legalization. In a country that has been devastated over the past few years by an ongoing opioid crisis, heroin and fentanyl are far greater threats than cannabis plant or hash oil. So no… We are NOT saying cannabis is equivalent to crack. Today more and more states move to decriminalize and reform their marijuana policies. And we as a society are more open to the potential of medical marijuana. So of course, you can’t compare cannabis to the damage of the crack-cocaine epidemic of the 80s without sounding a little like the counter-productive propaganda of reefer madness. However, that hasn’t stopped the practice of dabbing THC from being controversial. 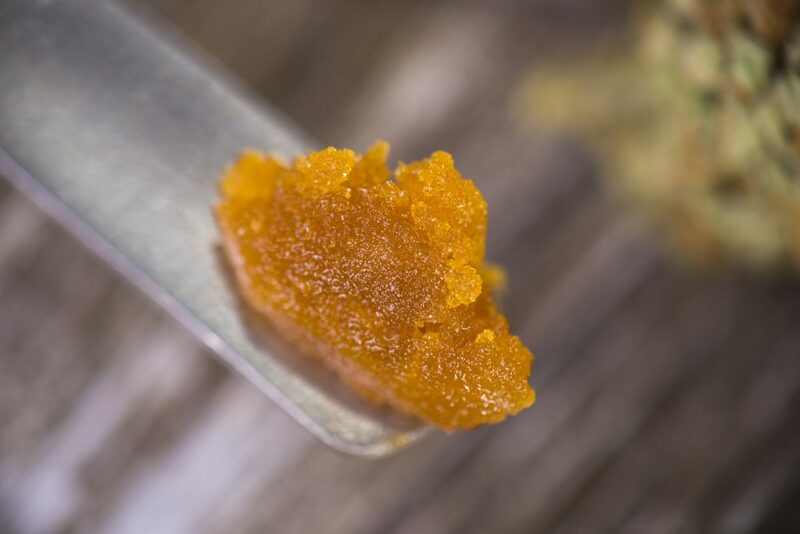 Some believe that it is because of the negative stigma that comes with the appearance of dabbing THC. Others believe it is due to how the substance is processed. Either way, people have used the analogy that dabbing is to cannabis what crack-cocaine is to cocaine. So what is dabbing, and why is it such a touchy topic? What does Dabbing THC mean? To better understand a lot of the controversy, we should first start with what dabbing THC actually means. To clarify, THC is Tetrahydrocannabinol, the cannabinoid compound in marijuana that causes the feelings of euphoria. A user will heat the nail, typically using a blowtorch. They then dab the concentrate onto the surface of the hot nail, and inhale the vapors of the melting wax. Users also have the option of using e-cigarettes or “vape pens” to consume hash oils, which make for a less scandalous look. You may be wondering why go to all this trouble when marijuana has been smoked out of pipes and paper for decades? This is because a THC concentrate is extremely potent, and dabbing THC has an instant, yet long-lasting effect. Because of these factors, dabbing is now a popular method among consumers with higher tolerance to cannabis. So not only is it stronger, it is also considered more economical. See where we are going with this? Again, we acknowledge that cannabis wax so far has not proven to be nearly as harmful as crack-cocaine. However, some evidence does suggest that dabbing THC is more likely to cause dependence or addiction. One study from the Estrohaze article indicates that users consider dabbing as more dangerous because of the tolerance people develop through the larger doses. Still, many in the cannabis community believe that there is potential in BHO. Some think its potential for medicinal use outweighs some of the risks, and others see it as a means of harm reduction. When it comes to issues of substance abuse, we should remember the difference between dependence and addiction. For those unfamiliar, dependence primarily deals with the tolerance people develop due to prolonged use of a substance. This is when a person’s body or mind adapts to the presence of a drug, and in order to maintain balance the body as conditioned itself to rely on that substance. In short, dependence is something that manifests physically. However, with addiction, there is far more than the physical dependence. An addiction is a much deeper relationship between the substance, the habitual behavior, and mental and emotional health of the individual. Addiction, also known as severe substance use disorder, is a complex brain disorder. This intense obsession takes different forms and affects people in different ways, but most people with addictions will continue using despite the negative impact on their lives. So, when it comes to the debate over whether or not cannabis causes addiction, we should consider the difference between dependence and addiction. According to the National Institute on Drug Abuse (NIDA), marijuana use can lead to marijuana use disorder. This takes the form of addiction in severe cases. Marijuana use disorder is most commonly associated with dependence when someone experiences some physical withdrawal symptoms. However, the NIDA states that it becomes an addiction when the individual is unable to stop using, even though it is detrimental to their everyday life. With dabbing THC, the same rules would apply. With people building higher tolerance much quicker, dependence is much easier to develop. When that dependence begins to cause real problems in life, it is possible that the issue has developed into an addiction. This debate seems to have split the cannabis community, with one side saying BHO and dabbing THC is not worth the trouble and stigma it brings. The other side believes that potential benefits are more important than any backlash. Many are taking a more moderate stance, acknowledging the rewards but not minimizing the risks. So what is the right way to look at dabbing THC? Even cannabis advocates worry that the issues people associate with dabbing will set back the progress made in the legalization movement. Does dabbing really deserve the reputation? While this article is not meant to choose a side. But we can emphasize the fact that regardless of what the substance is, dependence and addiction can be detrimental to overall health and well-being. As times change and society embraces more uses for cannabis, one thing does not change- substance abuse and addiction should never be ignored. You are allowed to be optimistic about the benefits of cannabis and still raise awareness about the risk of abuse and adverse effects. And in looking at the whole picture, we are all put in a better position to help those who need help the best we can. When it comes to addressing issues of addiction, having an effective and innovative recovery plan can be a game changer. Palm Partners Recovery Center believes in holistic addiction treatment that provides unique opportunities for healing mind, body, and spirit as part of a comprehensive recovery program. If you or someone you love is struggling, please call toll-free now.